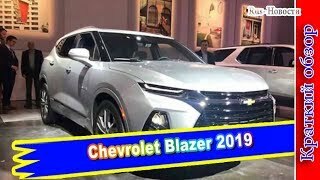 Lets check out the all new brand new 2019 Chevy Blazer!! This one is fully loaded! 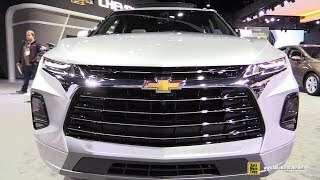 Check our Randy Marion Chevrolet for you next Chevy Vehicle! 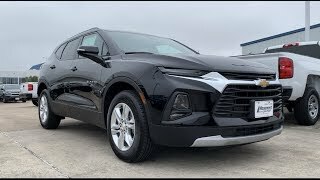 In todays video we review the all new 2019 Chevrolet Blazer Premier AWD! 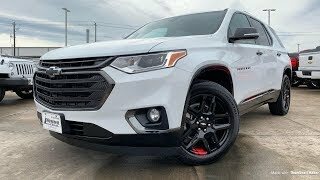 This was an awesome sporty crossover to take a look at. Sharp exterior styling really makes it stand out from the crowd. 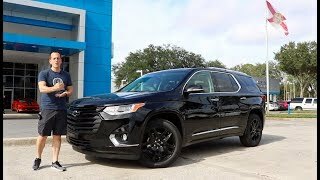 The aggressive lines run throughout the exterior and make it look great! The interior had nice leather along the seats with contrast stitching and piping. 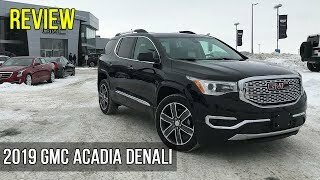 Being the Premier it has the full navigation system, panoramic roof, 360 parking cameras and rear parking sensors, lane keeping assist, radar cruising control and so much more! 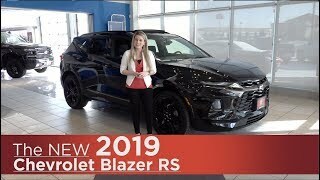 This 2019 Chevrolet Blazer also had the AWD and V6 engine! 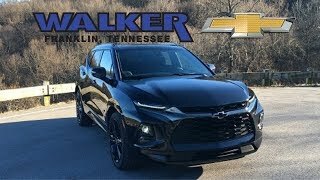 Very quick feeling out on the road and super capable when needed. 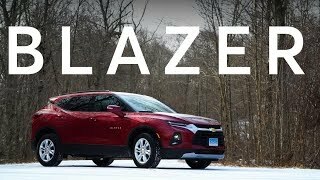 Driving the 2019 Chevy Blazer was great! Smooth 9 speed transmission and comfortable suspension! 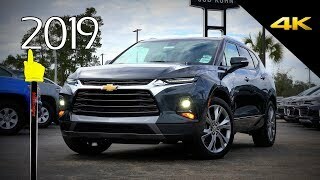 Definitely an awesome new vehicle from Chevrolet and you should put one on your list! 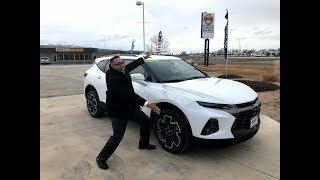 I’m actually about 30 min away from that dealership. 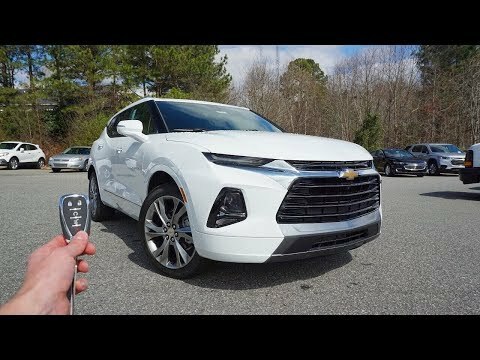 $51k? You could get a trd pro 4Runner for that. 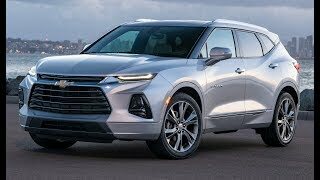 Its another Equinox in a new skin.. the dash is new but all else is the same as the terrain and Equinox..what a same GM is doing this..abuse of a badge..shame on you GM!!!! 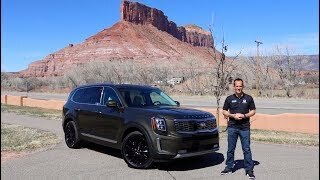 Will you have a video on the RS? There will be no dashboards in the future. Hi Brian 😄. 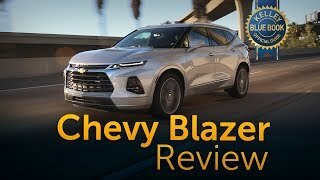 Excellent review of Chevy's all new Blazer, it definitely looks like a Camaro SUV for sure to me. 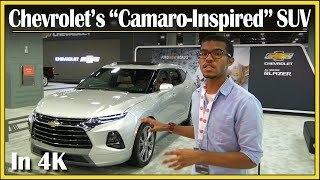 As I was watching your review I totally see a lot of Camaro influence in the Blazer. 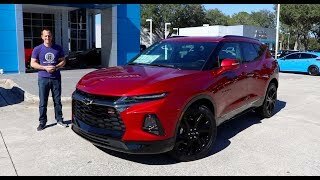 I'm not a Chevy guy, but yeah I tip my hat to Chevy for an amazing job well done on this vehicle. 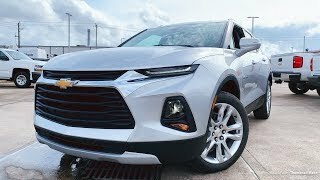 50Gs is quite steep for a Chevy tho, but it's a great looking vehicle all around in the trim level you reviewed nonetheless. I'm driving a VW right now, and the brand has spoiled me w/ its great German engineering. I actually would have guess you were more like 6ft tall. 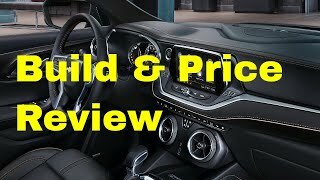 Again Brian, awesome review, I'd like very much to see you review the 2019 Subie Forester. Far cry from the blazers of past. +Bros FOURR Speed and suspension and steering ratio enhancements on the RS.